Suits are a necessity in every closet. It really doesn't matter where you reside or what are you hobbies/everyday activities, every dude should own a matching suit. You'll experience both expected and unexpected events, and you want to make sure you have a suit hanging in your closet to dress for those dapper occasions. 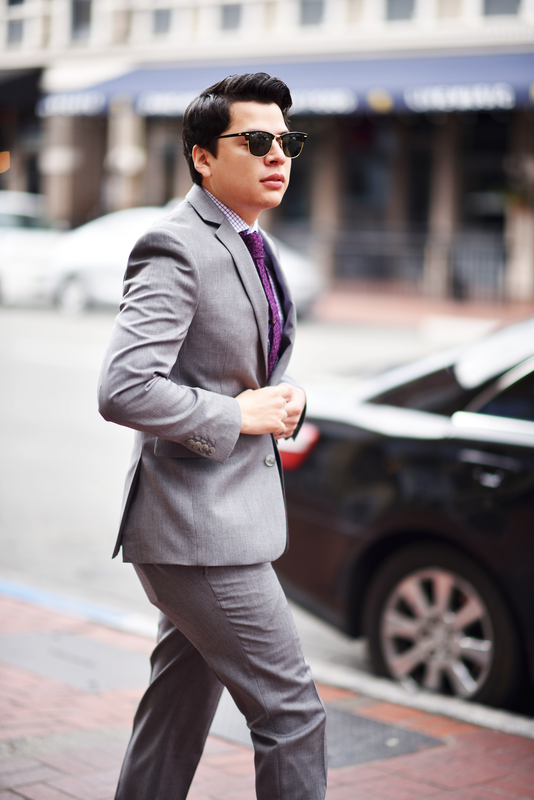 I got my hands on this extra slim fit suit by Bar III, and boy am I in love with it! Let's begin to talk about the fit...it fits like a glove, like it was tailored and made specifically for my body type (#winning). I can see myself using this suit around the office, those blogger/brand meetings and meetups, and on a date. I'm glad I got this suit in Grey, due to the fact that you can incorporate pretty much any other color to your suit to make it stand out. 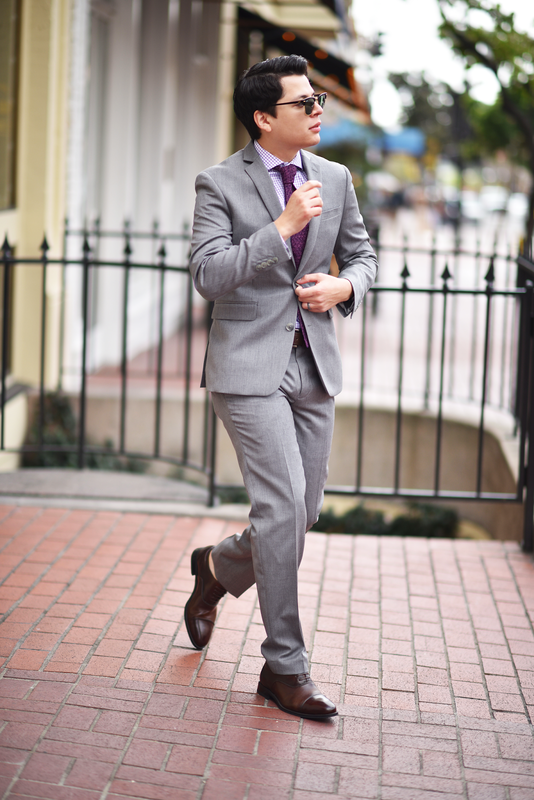 For this shoot I decided to include purple and brown tones with the suit, and I was pleased with the results. For the "not so dressy" events, break down your suit by ditching the pants and trading them for a pair of jeans (skinny jeans, preferably) and a pair of sneakers. 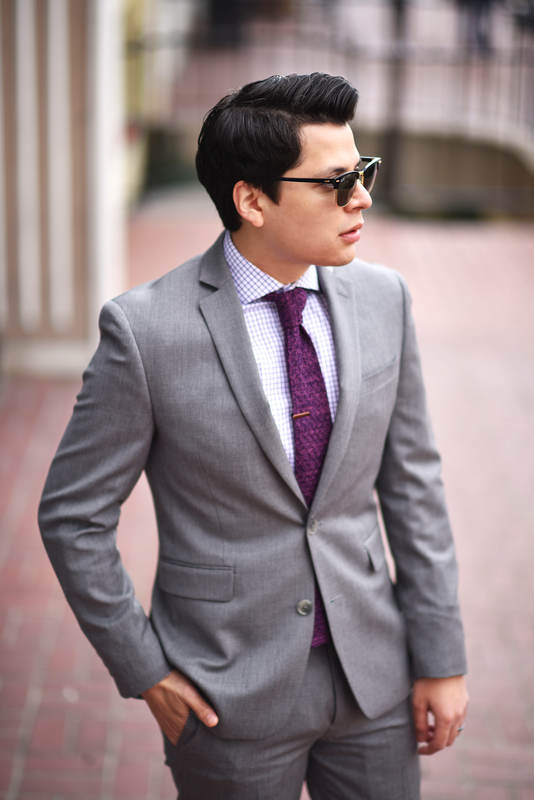 On another note, I want to thank Twillory for sending over their Purple Honeycomb Knitted Tie and their Purple Twill Window Pane Shirt; together both items are a match made in heaven! Twillory has some pretty great shirts; the fit is perfect, they are lightweight, and can be used for any occasion. Make sure to check them out and snag a few of their items!